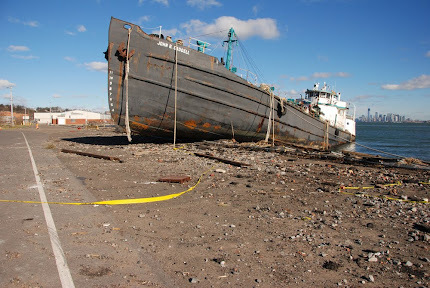 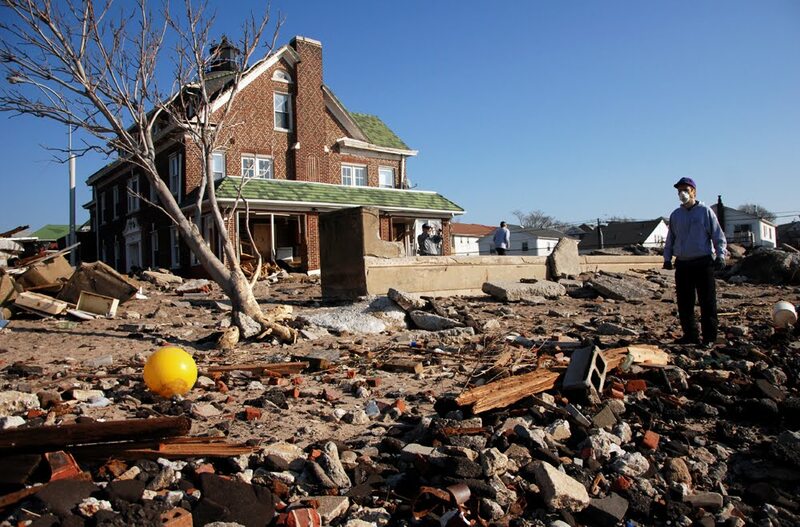 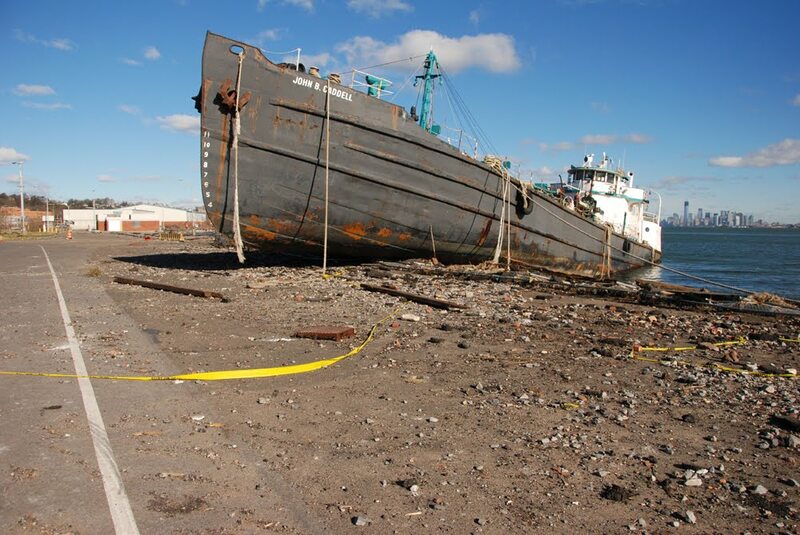 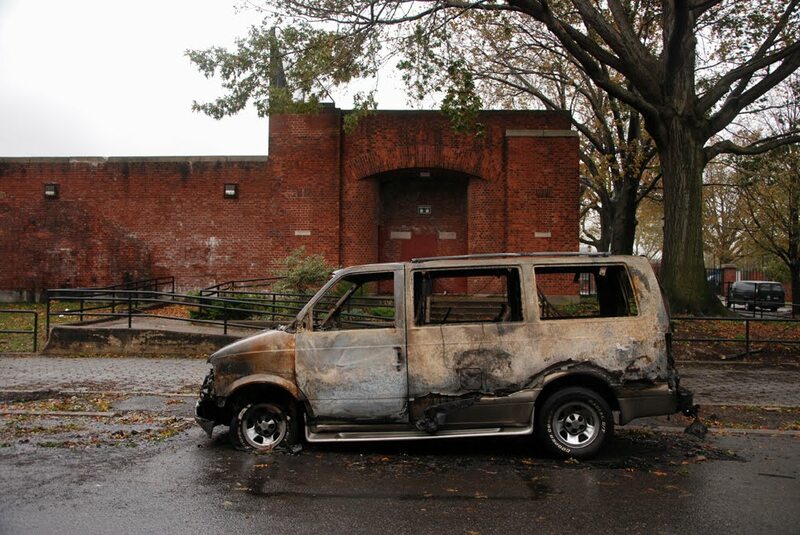 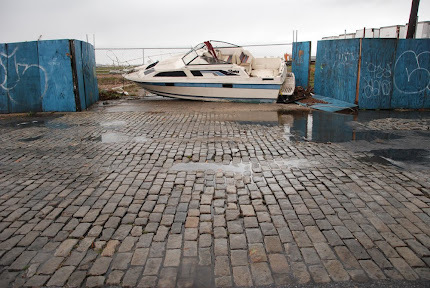 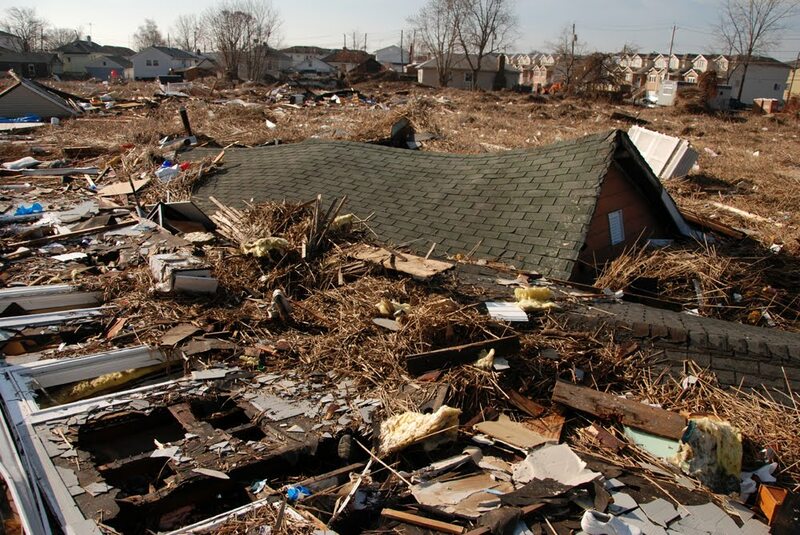 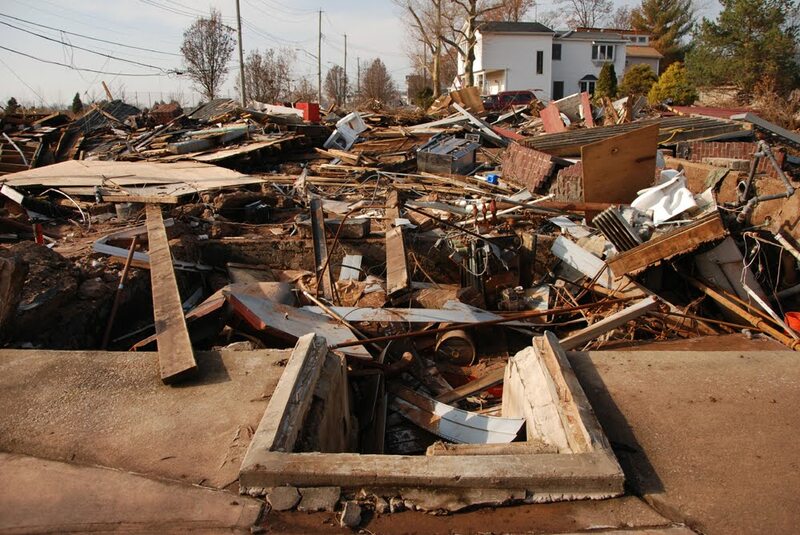 On October 29th, New York City's waterfront was permanently transformed by Hurricane Sandy. 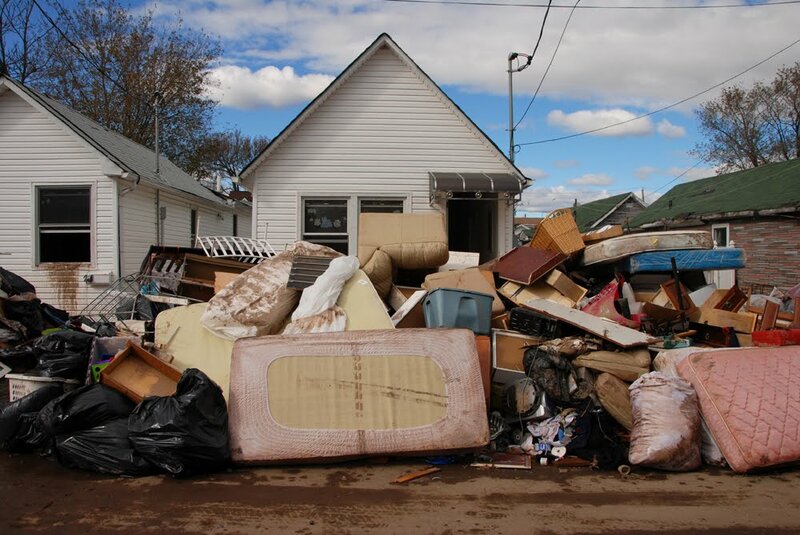 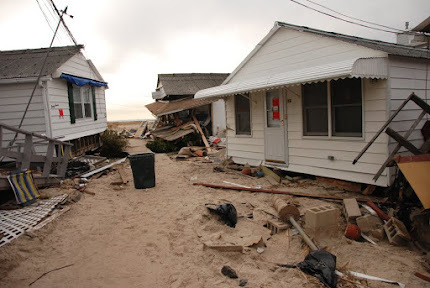 During its enormous storm surge, neighborhoods throughout the city were flooded and destroyed. 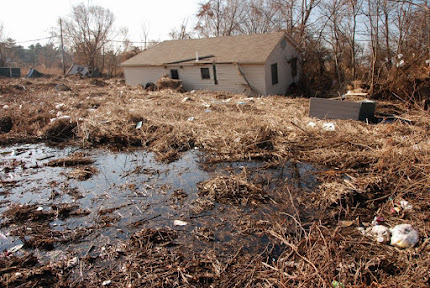 Houses were flattened, floated from their foundations, or pushed into the middle of streets and marshes. 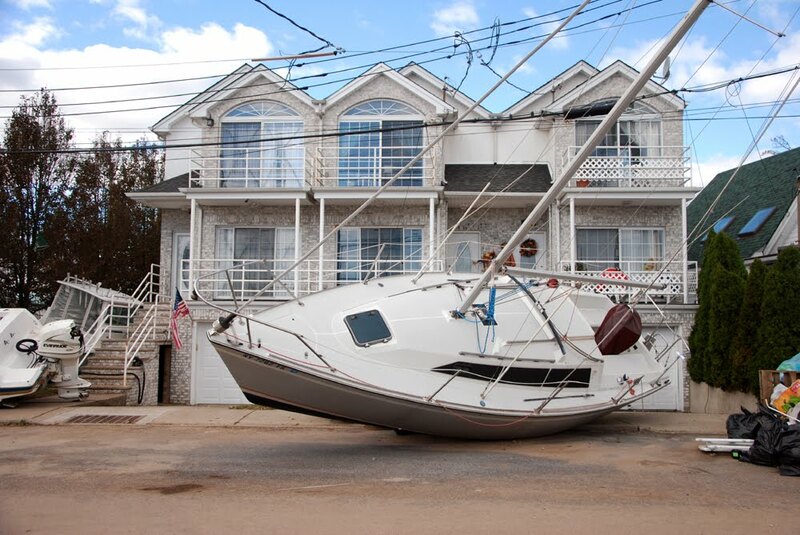 Since the storm, I've documented the damage done to many of the areas affected by the hurricane, talking with residents and publishing a series of photo essays at the website Curbed. 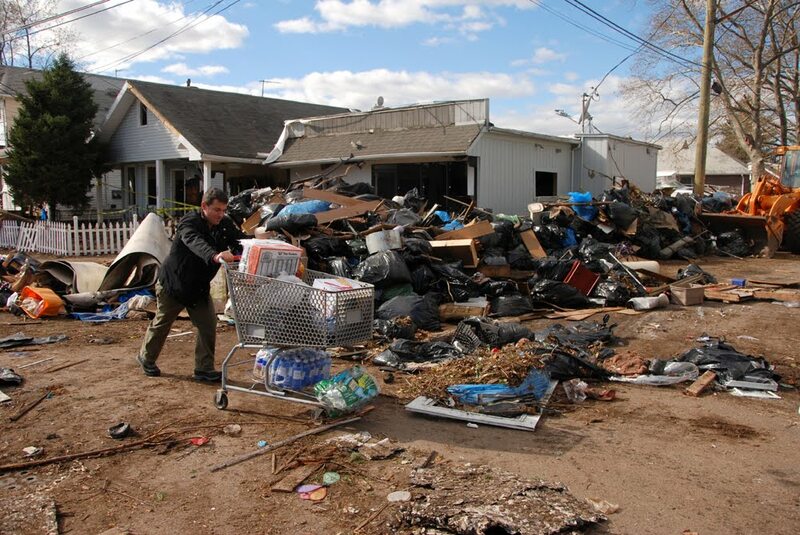 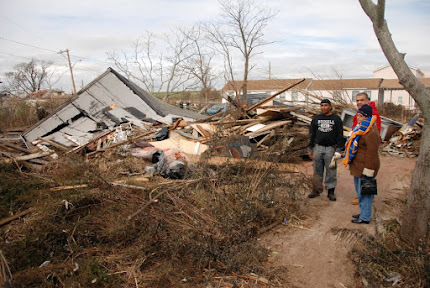 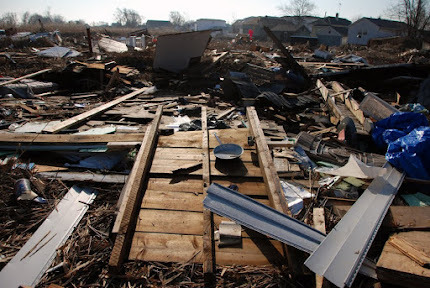 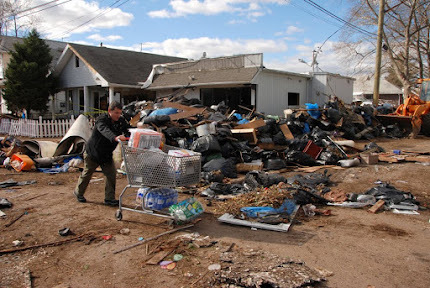 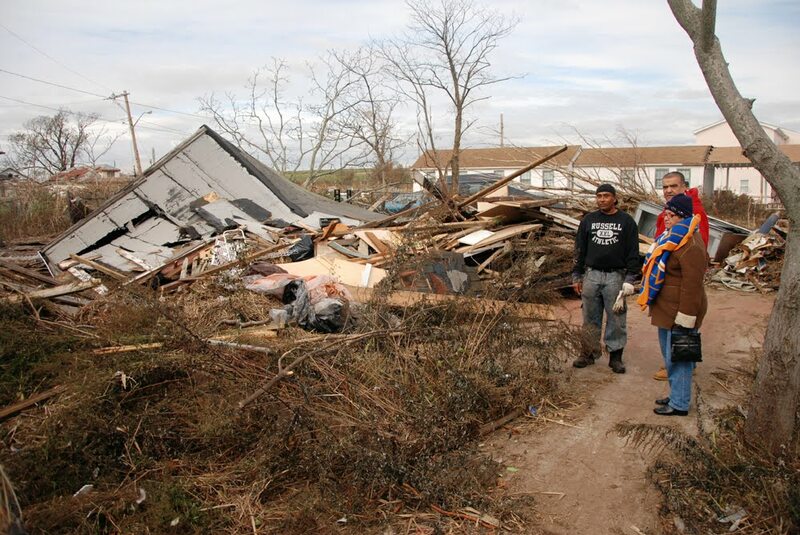 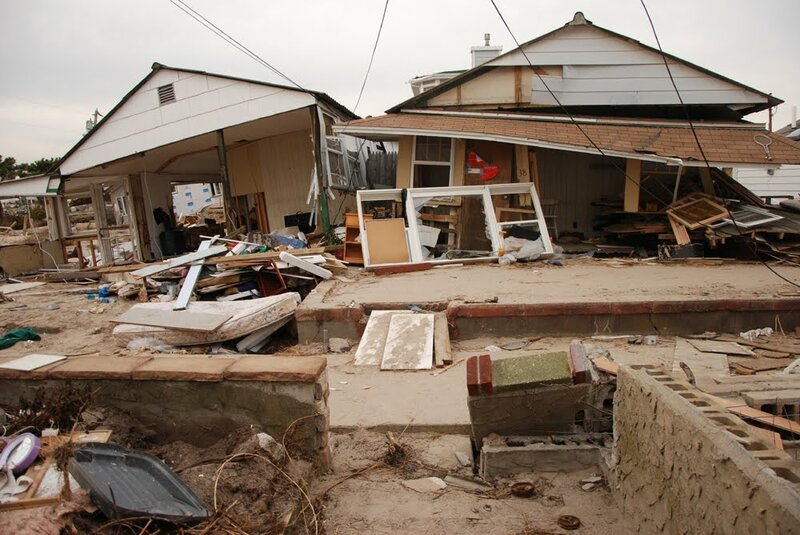 No matter what type of neighborhood the storm visited, the damage was severe, from the mansions of Belle Harbor and Manhattan Beach, to the gated communities of Breezy Point and Sea Gate, to working class neighborhoods in Staten Island like New Dorp Beach, Fox Beach and Midland Beach, and marginalized neighborhoods like Edgemere and Far Rockaway. Many of the unique neighborhoods documented on this website over the past 5 years were devastated by the storm. 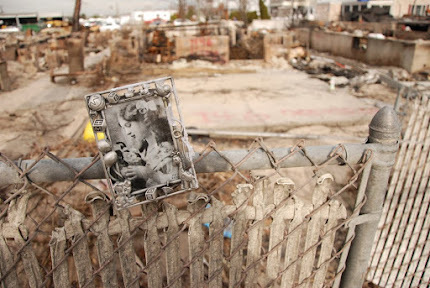 In Brooklyn, Coney Island was entirely submerged, creating enormous damage to homes and property. 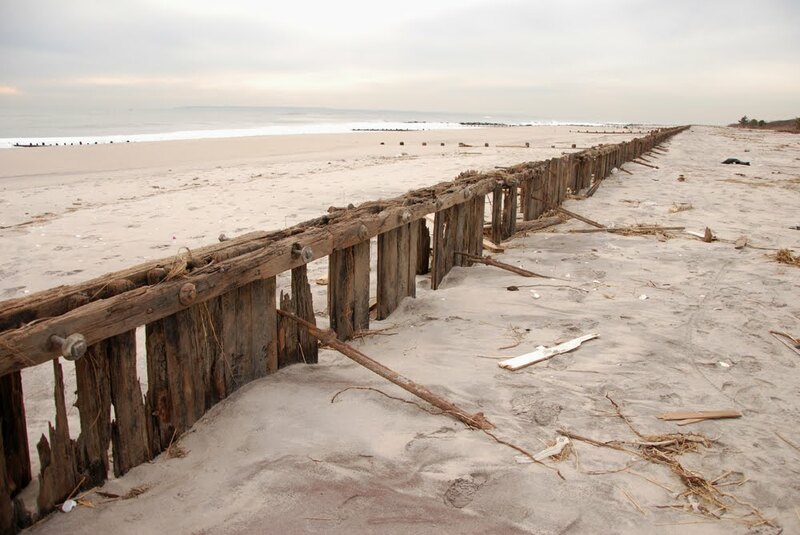 Alongside the damage in Sea Gate and Manhattan Beach, the hidden world beneath the boardwalk (Coney Island - Under the Boardwalk, March 2009) was largely filled with sand and debris, while the bungalows of Brighton Beach (Brighton Beach Bungalows, March 2010) were flooded, jeopardizing the future of an already endangered community. 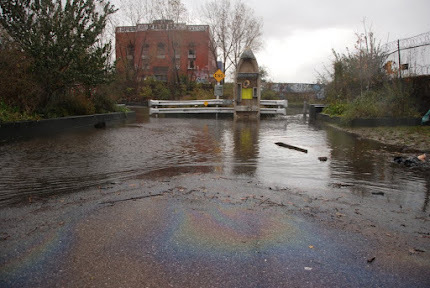 Businesses and studios in the Brooklyn Navy Yard (Brooklyn Navy Yard photo essays, 2007-2010) were destroyed, while the Superfunded waters of the Gowanus Canal (Gowanus Canal: Toxic Playground, October 2011) and the Newtown Creek (Newtown Creek: Brooklyn Shores, February 2011) overflowed their banks and filled bordering neighborhoods with toxic pollution. Floyd Bennett Field (Camping at Floyd Bennett Field, July 2012), was transformed from a quiet campsite and recreation area into a full scale military operation, with hundreds of trucks, ambulances, tents and humvees positioned to move into the Rockaways. Like Coney Island, the Rockaways were also completely submerged, with water coming in from both the Atlantic Ocean and Jamaica Bay. 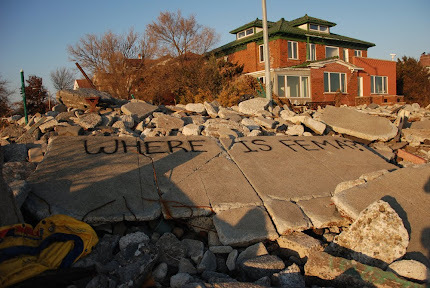 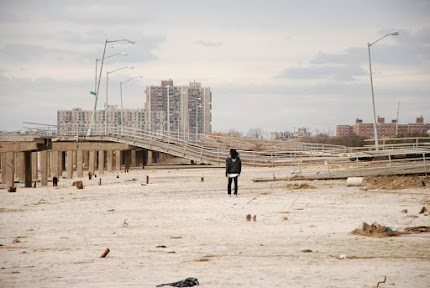 At the eastern end of the peninsula, in the seaside sections of Far Rockaway (Far Rockaway: Abandoned Bungalows, June 2009) and on the shoreline in northern Edgemere (The North Edgemere Shore, October 2010), nearly every house was flooded, putting an enormous strain on two neighborhoods which had already been struggling to survive. 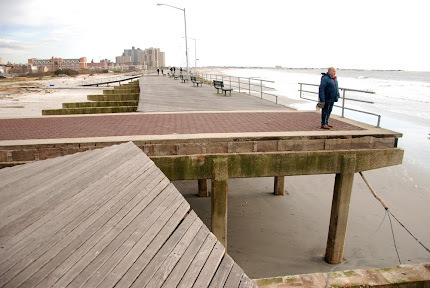 In southern Edgemere (The South Edgemere Wasteland, September 2010), the iconic wooden boardwalk was lifted by the storm surge and pushed far inland. 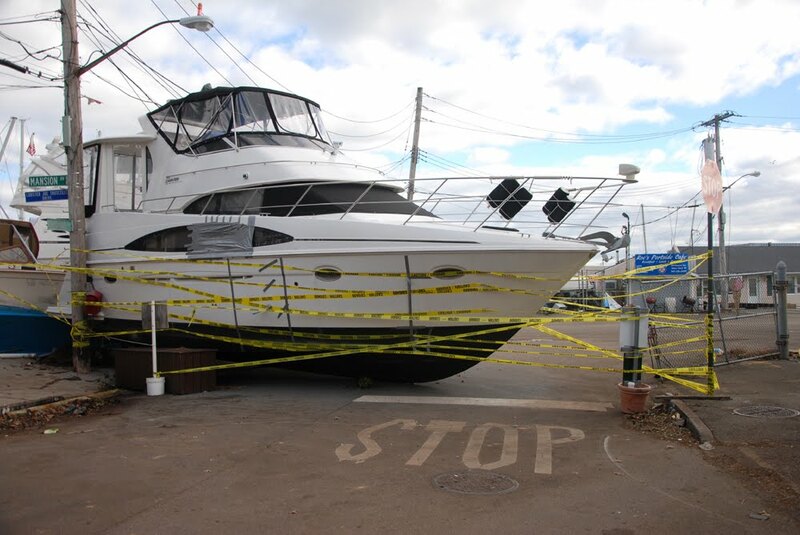 At the 59th street marina, home of The Boatel (Sleeping in the Sommerville Basin, July 2011), dozens of boats were left in a crushed jumble onshore, leaving the marina's future uncertain. 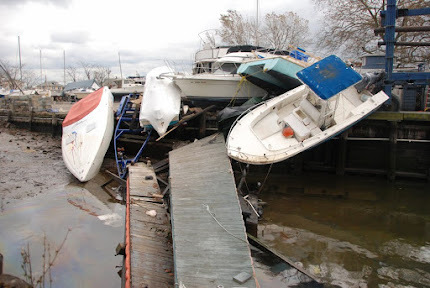 In Hammels (Hammels Wye, December 2010), many more boats were destroyed. 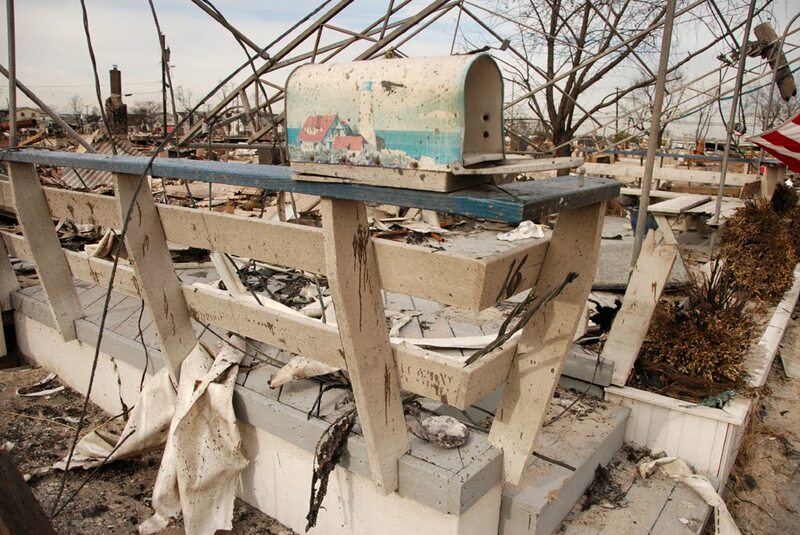 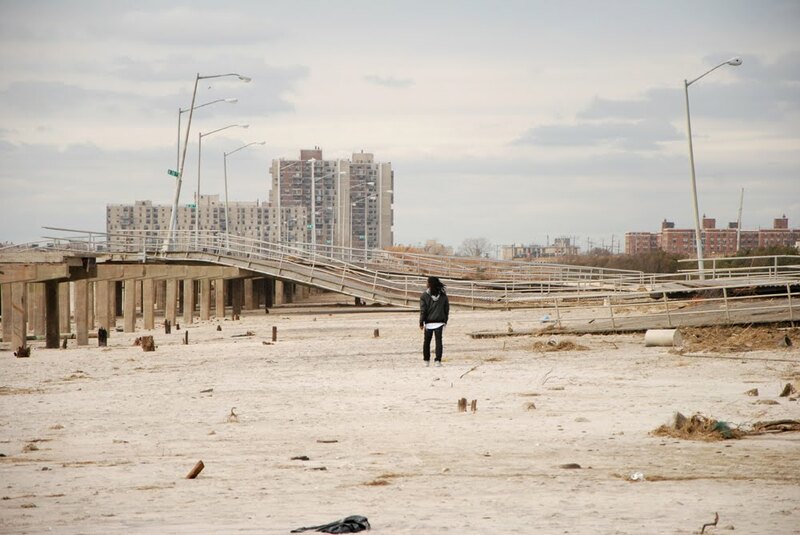 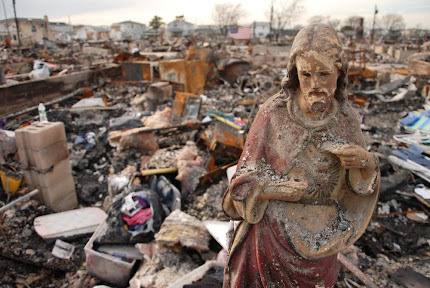 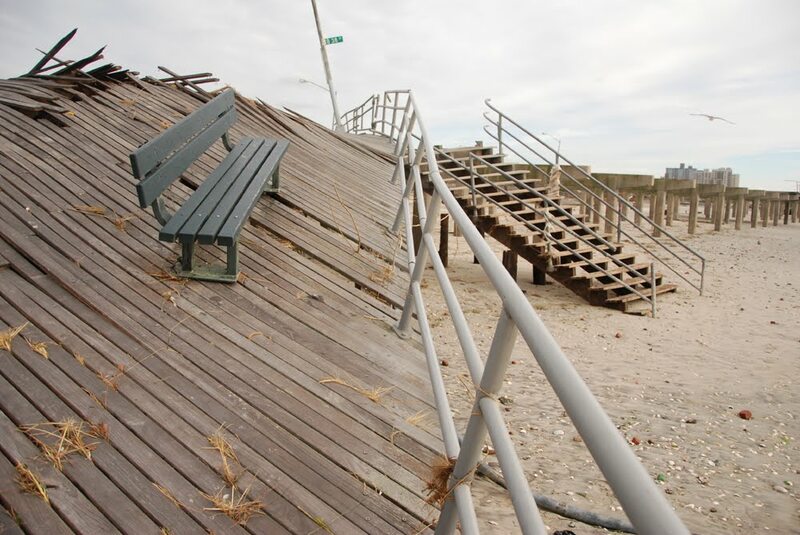 The western section of the Rockaways fared the worst, however, with fires and floods destroying many homes in Rockaway Beach, Belle Harbor and Breezy Point. 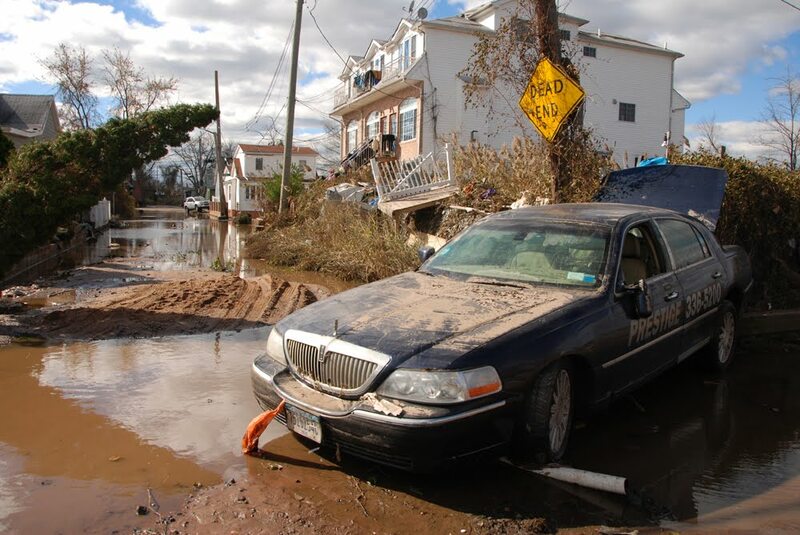 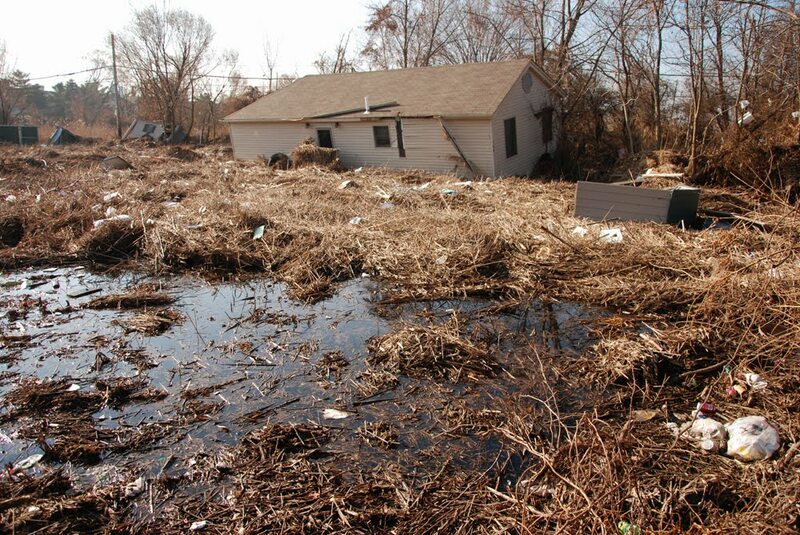 Staten Island's entire east coast was decimated by a storm surge that rushed inland through marshy areas that border many of its coastal neighborhoods. Blocks from the ocean, homes were pushed off their boundaries, crumbling and submerging into the reeds. 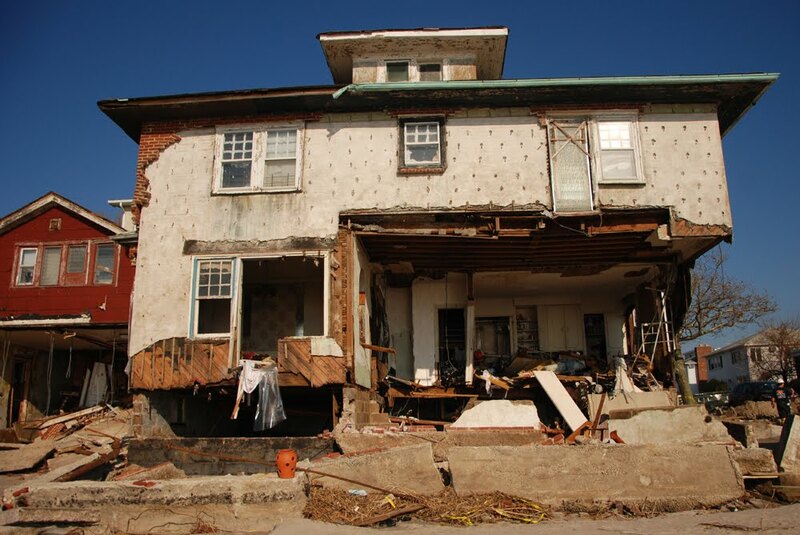 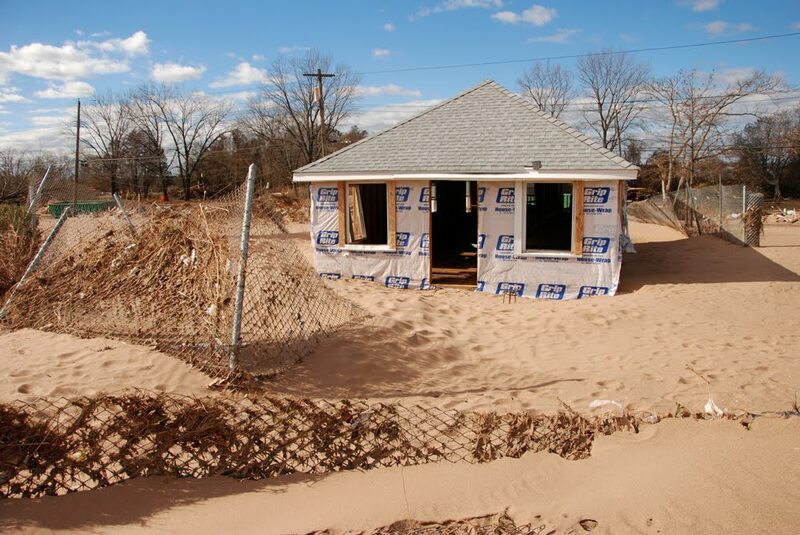 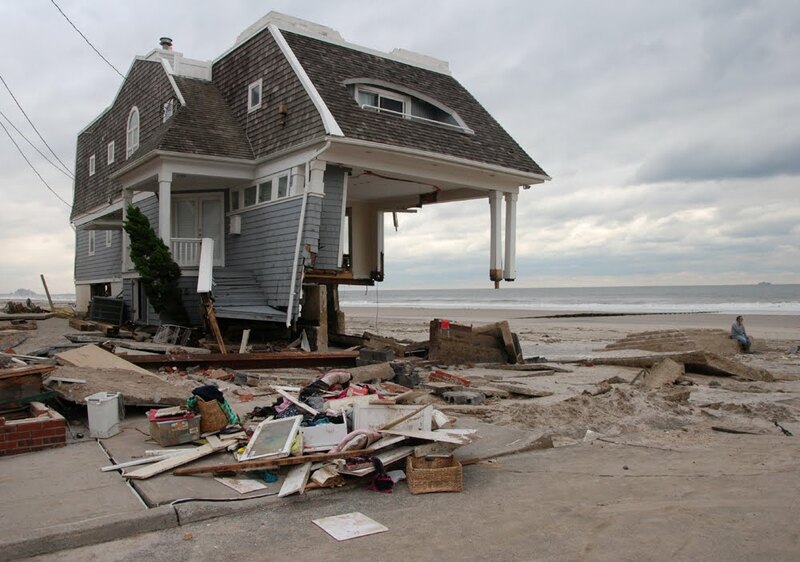 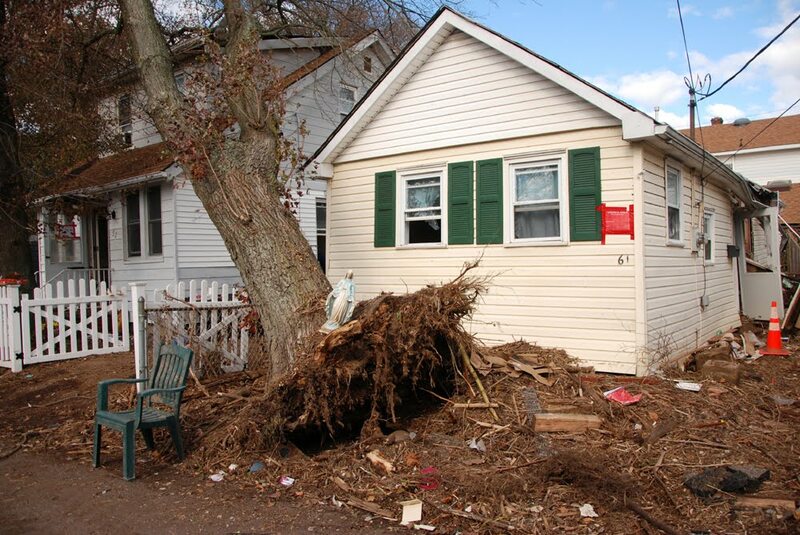 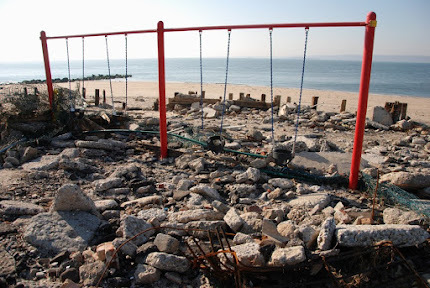 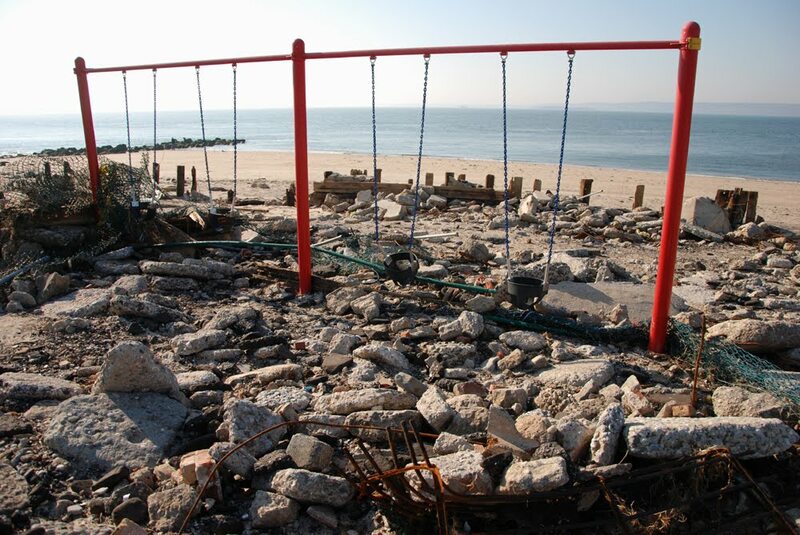 Parts of Midland Beach and Fox Beach were wiped off the map, while the bungalows in New Dorp Beach (New Dorp Bungalows, February 2011) were hard hit and the century-old bungalow community of Cedar Grove Beach was left with only two structures remaining. 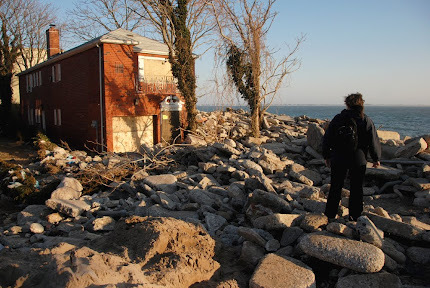 Further south, the freshwater pond at Wolfes Pond Park (Urban Camping in Staten Island, June 2011) was breached by the sea, which crushed several nearby landmarks. The following 35 photographs are presented chronologically, beginning on the morning after the storm. 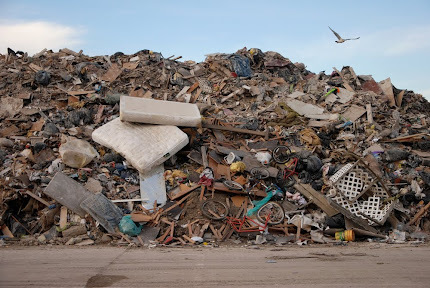 They were selected from approximately 3,900 photographs which were taken over the past six weeks. 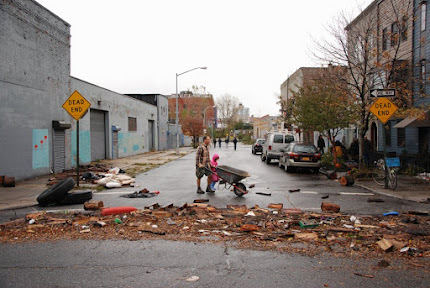 These photographs provide only a small glimpse into some of the neighborhoods damaged by the storm. Publishing every one of the millions of photographs that have been taken since the storm passed would not begin to tell the whole story of how New York City's waterfront has been transformed. 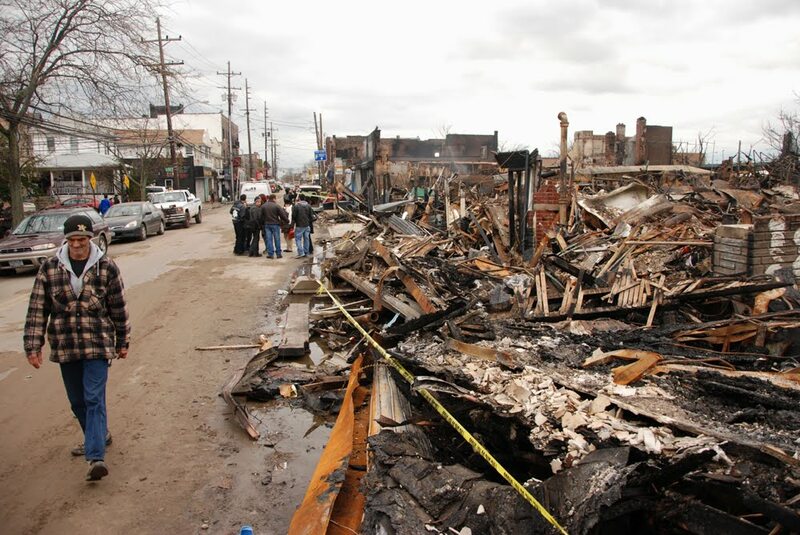 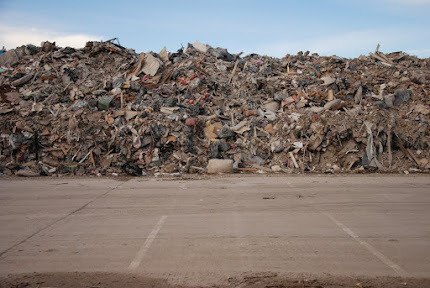 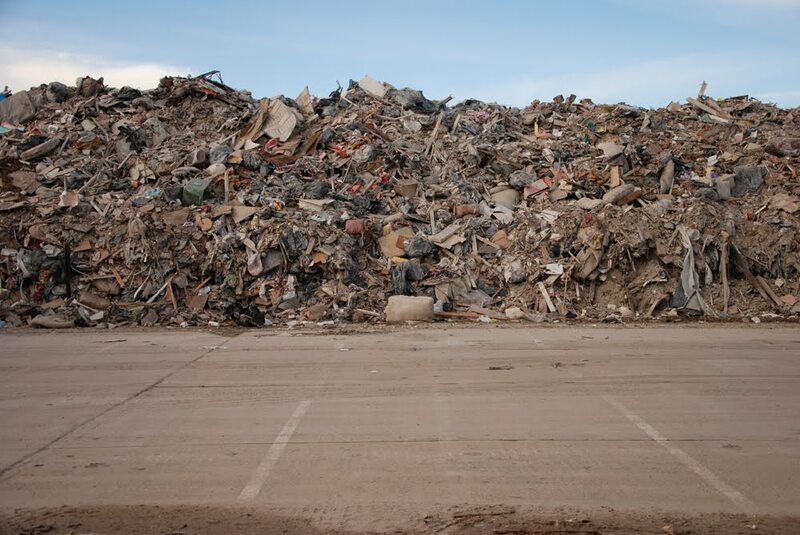 The cleanup is ongoing and will continue for many months, but has largely moved indoors and out of sight, like an invisible internal hemorrhage that leaves only a few bruises on the skin. In the months to come, the larger toll of the storm will begin to emerge, as homes are demolished or abandoned and businesses go bankrupt. 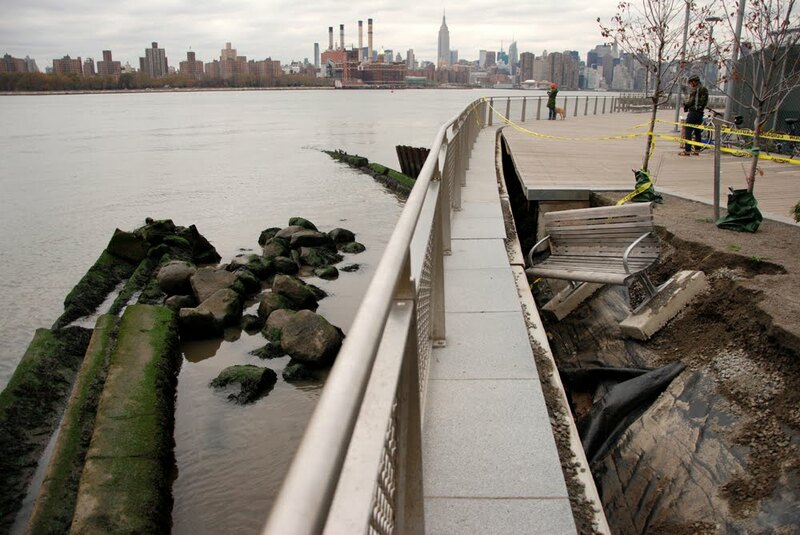 Throughout the city, the same refrain has been repeated by many residents: the waterfront will never be the same.